like to "markdown" until Friday, October 24th. Click on the picture above to check it out in our store...it is one of our bestsellers! 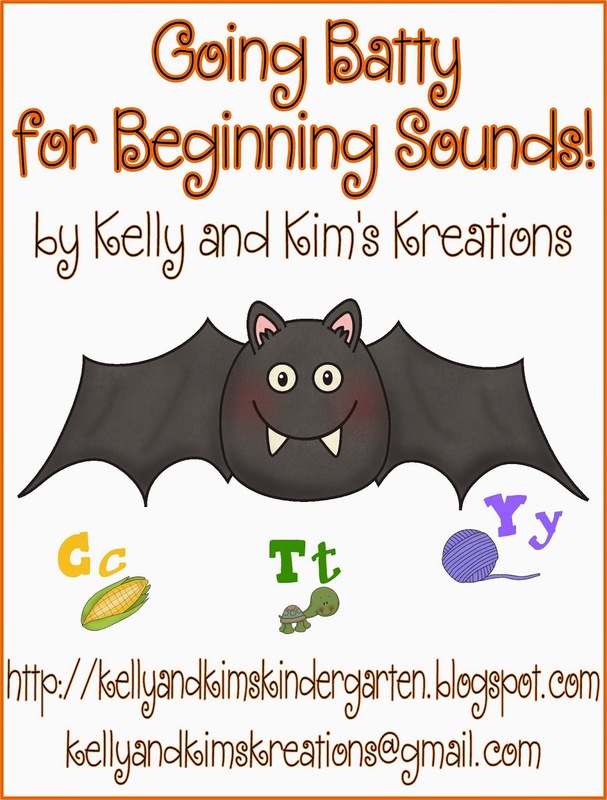 Our students just love this adorable beginning sound center! Each bat has a letter written on its belly. The children need to give each bat a pair of wings. To do this, children will have to look at the picture on the wings and determine the beginning sound. They will then match the wing with the bat that has the correct letter. Each letter has two pictures included. The vowels have one wing that will represent the short vowel sound and one wing that will represent the long vowel sound. 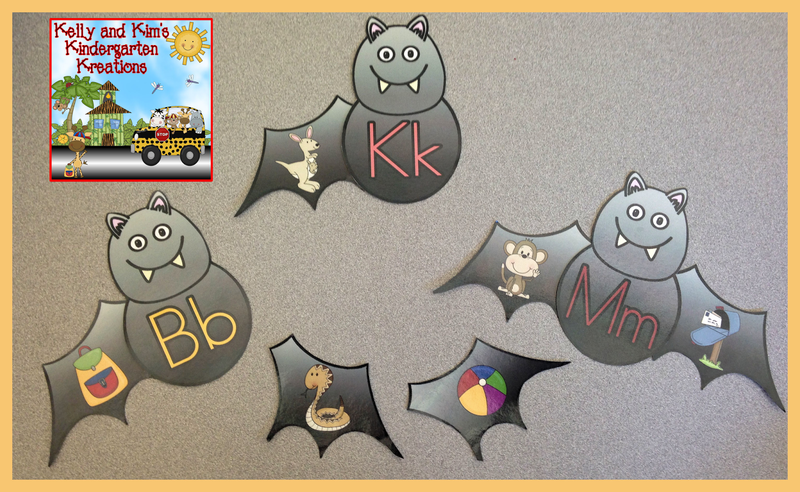 The children lay out the bats and the wings so they can easily see the pictures and letters at the same time. We have them "test" or isolate the beginning sound of one picture and then place it beside the body of the bat with the corresponding letter. 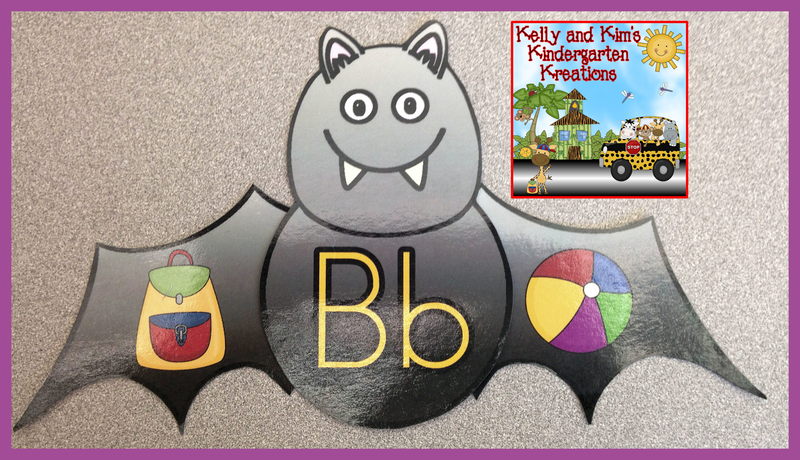 The "Bb" bat is complete! 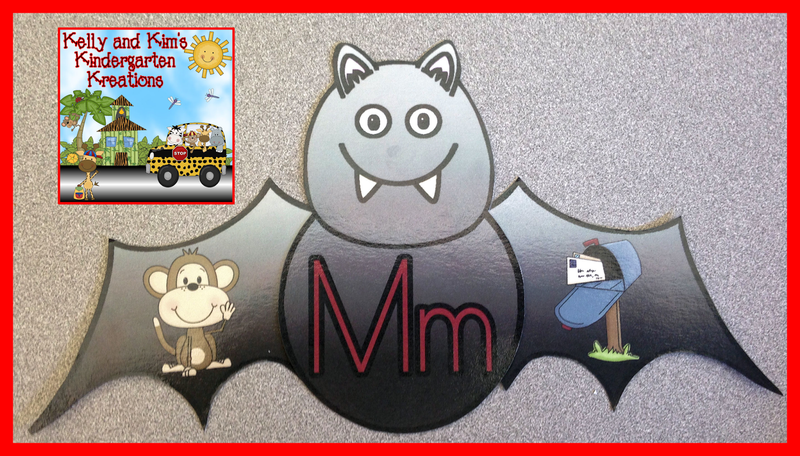 "Mm" is for monkey and mailbox...great work! 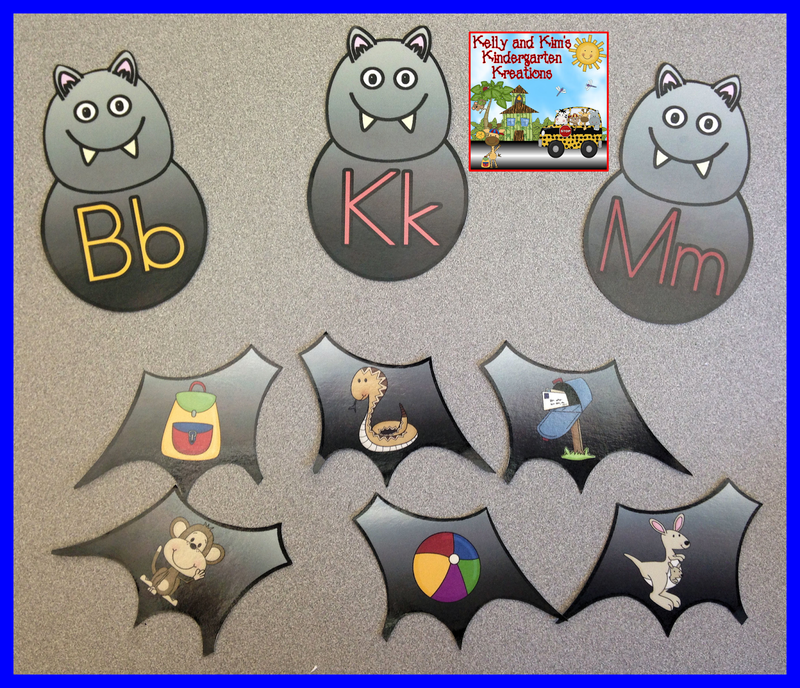 We are "going batty" in our classrooms this week with this center and bunches of other bat-themed books and activities! Excited for a great week! Thanks so much for the link-up opportunity! I blogged about it and am going to promote on my Facebook page tonight! Such a great selection of quality products! Thank you for hosting this LINKY! I love it and look for it each week.